“Alex” has never been published, and I understand why. Saying the story is in questionable taste would be like saying meeting an Internet-only acquaintance in a dark alley shows questionable judgment. But I hope some people who have loved old dogs despite their faults might enjoy the story anyway. 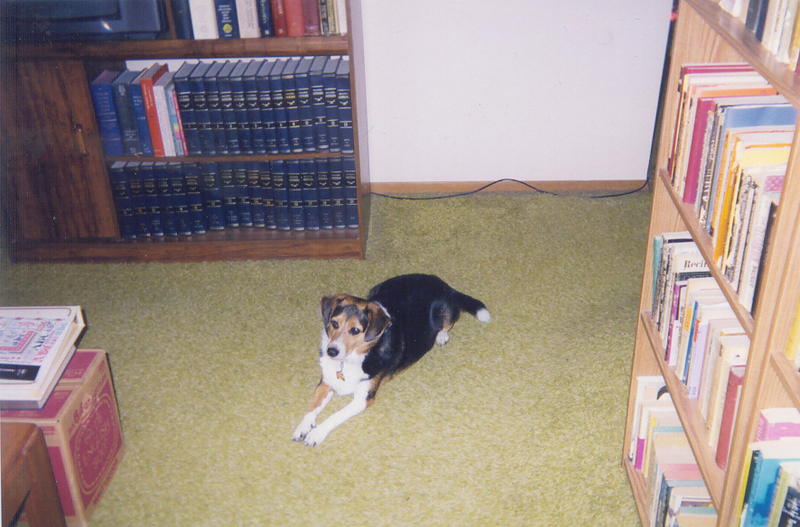 When our dog, Alex, died, I wanted to write a tribute to him, to enshrine some memories for our family. A straight memoir didn’t feel right, so I played around with the idea of giving Alex a starring role in a mystery story. Could I find a way to transform his bad habits and sweet personality into the stuff of heroism? Could I work our cats into the story, too? I don’t think I’ve ever enjoyed writing a story more. So here it is. The first few pages may seem like pure self-indulgence, but I promise many details in those pages will eventually prove relevant to the solution of the mystery. This one’s for you, boy.